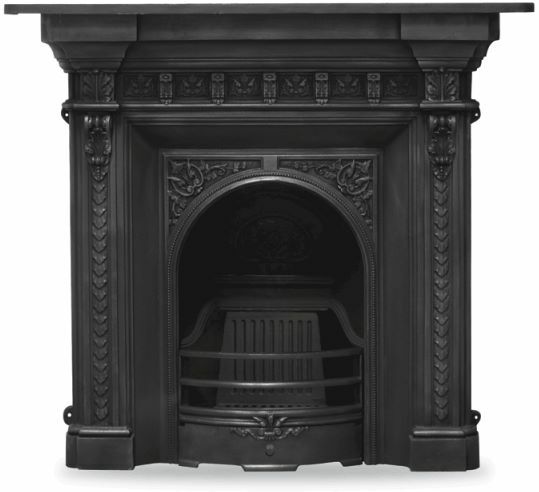 The Melrose cast iron fireplaces are available in both full polish finish as shown or traditional black. Priced with options for decorative use, the Melrose can also be used with solid fuels or fitted with our bespoke gas fires. Additional options are to add a black granite hearth. The hearths are available as a single slab for gas fires, or sectional hearths for use with coal or wood fires. Visit www.pendragonfireplaces.net or www.pendragonfireplaces.co.uk for more details. 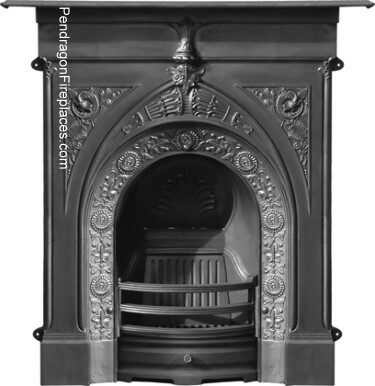 The Melrose traditional period Victorian style cast iron fireplace in black finish, is available from Pendragon Fireplaces. Priced with options for using solid fuels or gas. Further options include a polished black granite hearth suitable for gas inserts, or slabbed granite hearths for use with solid fuels. 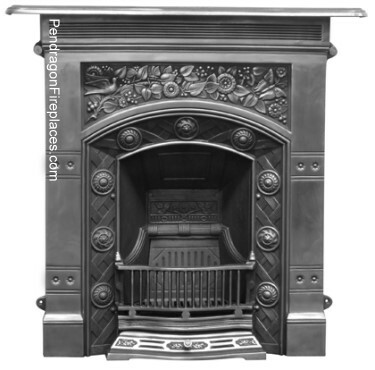 The Knaresborough cast iron fireplace is a traditional period Victorian style cast iron fireplace in black finish, is available from Pendragon Fireplaces. The fireplace has a Gothic style arch and a tall frieze above which gives a distinctive character to the design. 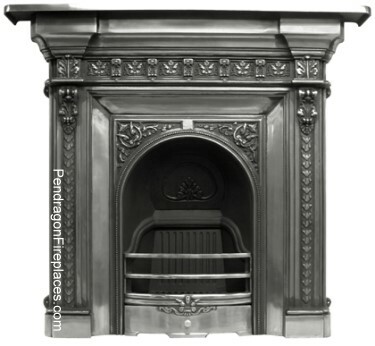 The Jekyll cast iron fireplaces in traditional period Victorian style cast iron fireplaces in polished finish, is available from Pendragon Fireplaces. The fireplace is available in both black or polished finish with a stunning William Morris style design. The pattern has a very floral theme with flowers adorning the frieze together with butterflies and birds.